If you haven’t seen this amazing creature….check it out! It is my new friend in the morning and I love it so much, I might even start taking two showers a day just to use it and say hello. I have even left my shower curtain open, so that I can catch a peek at the cute underworld creature. 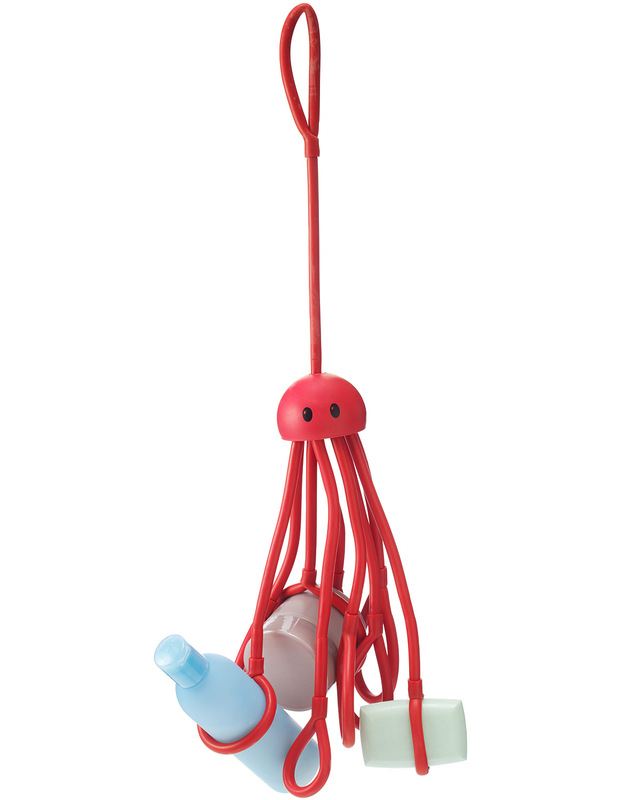 Now Im not usually one to recommend things, mostly because liking something is personal to many, but this item is cute, entertaining, a conversation piece and does it’s task too. Now if you are a Costco frequent flyer and your shampoo bottles are the size of a gallon of milk, this little guy isn’t for you. So now you ask, where can I grab one? Well even though they are out of stock alot (see how popular they are? ), hit up Uncommon Goods! Buy it, love it, remember who told you to grab it while you can. Then again, dont remember if you hate it and have any problems with returning it. See why I don’t usually do this? I’m stressing already. This entry was posted in Family, StumbleUpon, Uncategorized and tagged Bathroom, Blog, Costco, Family, Friends, Home, Home and Garden, Postaday2011, Shower, women. Bookmark the permalink. 6 Responses to The Shower Squid! It really does – the squid is rubbery, so it grabs great. When the soap gets pretty small, then all promises are off as it will slip out. The soap I use is Dove too, which is a smoother brand. When my little one sticks stuff in it, things fall out, but I think thats because she is still too rough when placing items in. What color is it in person? On my screen it looks dark pink which would be great but I’m skeptical about colors on my monitor. I think this is so cute and way better then the hanging basket shower caddy I have now which is easily knocked down. Its sort of a brick rubber color…not quite a pink, not quite a red. I have hard water, so now its a kind of white brick rubber color. But I still love it! how is the latex holding up?